CHECK OUT MY PIC! My buddy J took this at the PF concert. I was able to get so close the stage, it was AH-mazing!!!!! Ah man!!!!! I was right in front over by Chicken! LOL! That pic is so OOC!!!! Rocco - are you down for some dumpster diving next week? Roc my man, I'll see at the show in like 5 minutes!!!! WOO-HA! 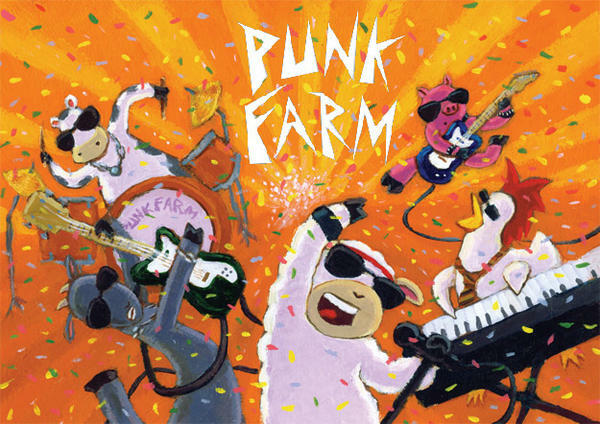 I can't believe that you really want to go see that Punk Farm show. Blah! Yo Rocco!!! What are you listening to these days?